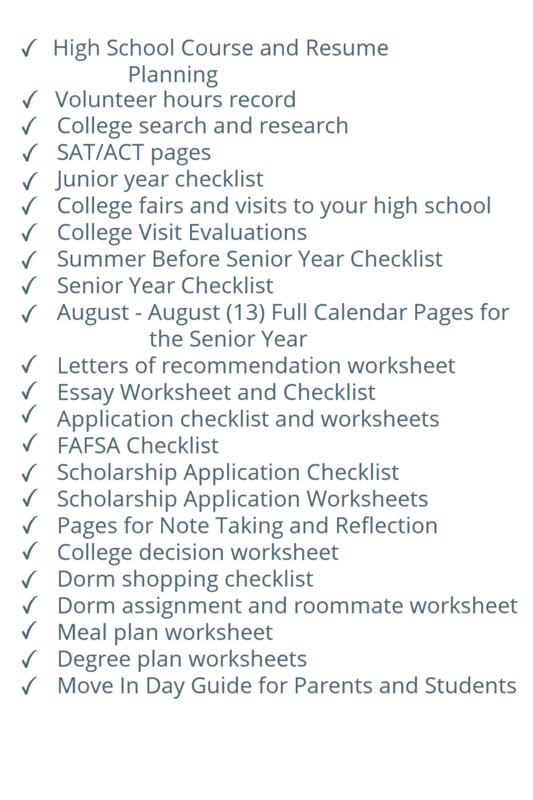 Making decisions about where to apply to college, writing essays, applying for scholarships, and asking for letters of recommendations is hard enough without keeping track of a million stray pieces of paper. 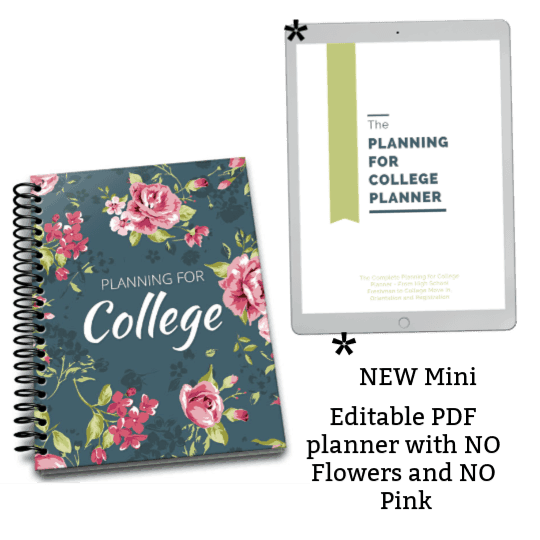 The College Planner gives high school students one place to record and organize everything necessary to get from their freshman year of high school to their freshman year of college. I am so impressed and blown-away at the depth and well thought out sections in The College Planner. I know firsthand that organization is KEY to planning for college and winning scholarships. 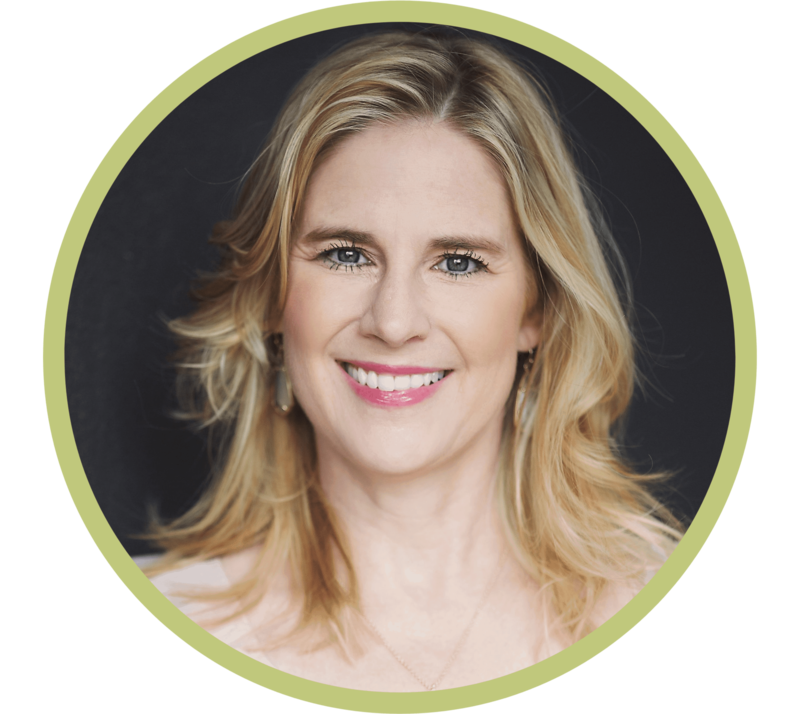 As a mom, who has helped two sons navigate the insane process of organizing college visits, applications, scholarships, and letters of recommendation, I looked for a resource to aid my daughter as she approaches this craziness. But I couldn't find it, so, I decided to create it. The College Planner is SO much more than just a planner. It is designed to help high school students dream and think about the future. In addition to checklists and forms, it contains pages to reflect on their experiences. These reflection pages will later inspire essay brainstorming. Essay writing will be a breeze when they have already written out their memories about the most significant experiences and people in their lives. What formats does the planner come in? The planner is available is 3 formats – a 142-page coil bound professionally printed format that will be mailed to you, a 142-page PDF download that you print yourself, and a 99-page Editable PDF download that you may print yourself and/or edit on your computer. What are the dimensions of the Planner? All of the formats have 8 1/2″ x 11″ pages. The coil bound planner will be shipped to you free via USPS media mail. If you wish to upgrade to priority mail, there is an option at checkout. When will I receive my planner? The downloadable planners are available immediately after checkout. The coil bound planner will be shipped to you free via USPS media mail. It should take from 7-10 days to arrive. If you upgrade to priority mail, it should take 2-5 days to arrive. 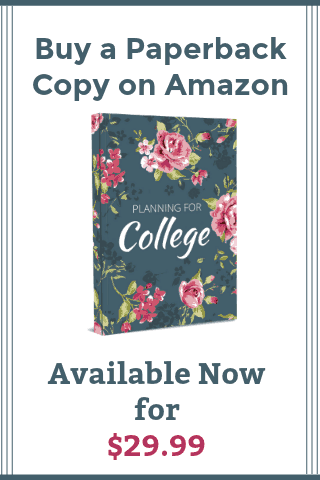 Thank you for your interest in the Planning for College planner. Please contact me at [email protected] if you have any questions. I have been there with the insane college prep process!